Kayt Davies is a senior lecturer in journalism at Edith Cowan University. Initially trained as a cadet journalist in business news, she has worked for The West Australian, Visnews (London), and edited community newspapers and magazines. She has a BA (psych) honours, an M.Phil in English and Comparative Literature and her PhD was an ethnographic study of women's magazine editors. She is editor-in-chief of 3rd Degree, ECU’s online student publication, and in 2009 she was awarded a Vice Chancellor's citation and an Australian Learning and Teaching Council Citation for Outstanding Contributions to Student Learning. 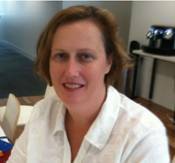 Alex Wake is a journalism lecturer at RMIT and she has been a journalist for more than 20 years. She has worked for The Rockhampton Morning Bulletin, The Mackay Mercury and The Star (Ireland) and spent seven years with the ABC in Queensland. She trained journalists at the South African Broadcasting Corporation and for three years was a journalism educator at Dubai Women’s College in the United Arab Emirates. Wake also spent three years as a senior media advisor for a Queensland government minister and she continues to work as an occasional editor and news reader at Radio Australia. She completed her MA (Research) at QUT, a Graduate Certificate in Tertiary Teaching and Learning at RMIT, and a Certificate of English Language Teaching to Adults at Cambridge. She is now and enrolled in her PhD. Stephen is Head of the School of Communication at the University of the Sunshine Coast. He founded and leads the University’s journalism program. 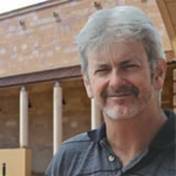 He has worked as a photojournalist, sub-editor and editor of regional newspapers and is a former senior journalist and bureau chief with The Sunday Mail in Queensland. He has been the Queensland finalist in three categories of the Walkley Awards and he co-authored The Daily Miracle: An Introduction to Journalism (3rd edition) and Online Newsgathering: Research and Reporting for Journalism. 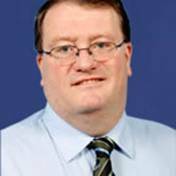 In 2008 Stephen was awarded an Australian Learning and Teaching Council Citation for Outstanding Contributions to Student Learning. In 2009 he was awarded his a Vice Chancellor's Medal for Outstanding Teaching. His PhD dealt with Computer-Assisted Reporting and Freedom of Information. Mark is Professor of Journalism at Bond University and Director of the Centre for New Media Research and Education. He has been a journalist for 30 years and has written for a range of publications, including The Australian, the Far Eastern Economic Review, the Wall Street Journal, the Otago Daily Times and the Gold Coast Bulletin. He is the author of The Journalist's Guide to Media Law (3rd ed, Allen & Unwin, 2007). From 2001-2002 he was Editor of the Australian Journalism Review, and is a past president of the Journalism Education Association. 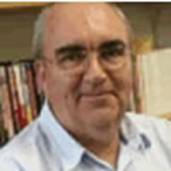 He is co-author of Breaking Into Journalism - Your guide to a career in journalism in Australia and New Zealand (Allen and Unwin, 1998 and co-author of the Australian Broadcasting Authority's Sources of News and Current Affairs Project (ABA, 2001). Lynette is Professor of Journalism and Head of the School of Communication Arts at the University of Western Sydney. 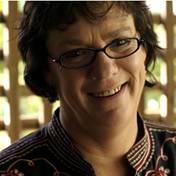 Before joining UWS in 2002, she was Head of the Department of Communication and Media Arts at the University of Newcastle. Lynette has won numerous journalism awards as well as an Award for Excellence in Teaching (University of Newcastle) and The Australian Award for Excellence in Educational Publishing. Her book, Understanding Journalism, was published in London in 2002, re-printed in New Delhi in 2003 and translated into Czech in 2005. She is a former president of the Journalism Education Association and a regular commentator on issues of media representation of social minorities. Bonita Mason is a journalism lecturer at Curtin University. 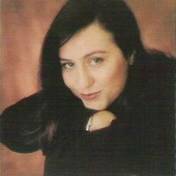 She has published in books and magazines as a freelance journalist; worked as a media studies tutor at the University of Technology, Sydney; and as a researcher and assistant editor at the Australian Centre for Independent Journalism. Mason has also worked as a policy advisor and speechwriter for government and Aboriginal organisations, and as a media advisor and writer for Aboriginal organisations in the Kimberley. Her success as a journalist was recognised in 1997 with two national journalism awards. Mason has an MA in journalism (coursework) from UTS, and is working on an MA by thesis at the same university. 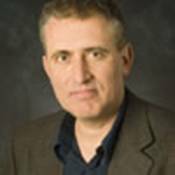 Lawrie Zion is a senior lecturer a La Trobe University where he co-ordinates the journalism programs, and is one of the co-ordinators of the Master of Global Communications degree. He is also editor-in-chief of an online magazine, upstart (www.upstart.net.au), which showcases student writing. After graduating in History from the University of Melbourne, he completed a PhD at Monash examining the pop music scene in Australia during the 1960s. He worked for nine years at ABC radio (Triple J). From 2004 to 2006 he was the film writer for The Australian, and he has written for The Age, Hollywood Reporter, and Rolling Stone Australia. More recently he wrote a documentary about the Australian accent called The Sounds of Aus, which won the 2008 Chicago Hugo prize for best international documentary. David works with postgraduate students and is director of the Pacific Media Centre at the AUT University. He holds a PhD in History/Politics from the University of the South Pacific, Fiji, where he ran a regional journalism programme. As a journalist, David has reported insurgencies in Africa, Philippines and the Pacific. He was a reporter on board the bombed environmental ship Rainbow Warrior. He was the 1999 Australian Press Council Fellow and 2005 PIMA Pacific Media Freedom Award winner. He has been a convenor of Pacific Media Watch for 14 years and the PMW database is now hosted at AUT University. 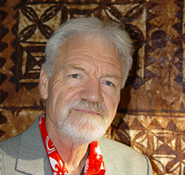 He is also founding editor of the Pacific Journalism Review research journal and he has written several books on Pacific media, political struggle and human rights. His teaching currently includes a postgraduate Asia-Pacific Journalism paper, the first of its kind at a New Zealand university, and Pacific Scoop, established as a regional outlet for journalism students and commentators. John Owen is presently the Acting Executive Producer of Programmes for the Americas for the Al Jazeera English Channel. He is on a sabbatical from City University where he is Professor of International Journalism. Owen spent most of his journalism career with the Canadian Broadcasting Corporation. He served as its Chief News Editor for CBC Television News. He moved to London to become its Chief of Foreign Bureaux. John left CBC to become the founding Director of the Freedom Forum's European Centre. He then became the founding Executive Producer of the EBU-backed international broadcast conference group, NewsXchange. He has worked as a media consultant with the BBC College, the Al Jazeera English Channel, and the new Jordan Media Institute. He serves as adviser and editorial board member of the Africa media agency, www. a24media.com. He serves as a Trustee of the Soros-backed Open Society Foundation, the Crimes of War Project (www.cow.org) and the Canadian Journalism Forum. He is a founding member of the editorial board of the International News Safety Institute (INSI). He is co-author and co-editor of a new journalism education book, International News Reporting: Frontlines and Deadlines, published by Wiley & Blackwell. Owen is also the founding chairman of the Frontline Club Trust in London. Stephen Ward is the James E. Burgess Professor of Journalism Ethics in the School of Journalism and Mass Communication at the University of Wisconsin-Madison. He is director of the school's Center for Journalism Ethics and its web site, www.journalismethics.info. Previously, he was director of the Graduate School of Journalism at the University of British Columbia in Vancouver. He has a PhD in philosophy from the University of Waterloo, Ontario. He is the author of the award-winning The Invention of Journalism Ethics: The Path to Objectivity and Beyond and Global Journalism Ethics and co-editor of Media Ethics Beyond Borders. Ward is the associate editor of the Journal of Mass Media Ethics. His articles and reviews have appeared in such journals as Journalism Studies, Ecquid Novi: African Journalism Studies; Journalism: Theory, Practice and Criticism; Harvard International Journal of Press/Politics and the Journal of Mass Media Ethics. He is the media ethics columnist for www.j-source.ca and Media magazine and he worked as a reporter, war correspondent and newsroom bureau chief for 14 years. He is a media ethics columnist and the founding chair of the Ethics Advisory Committee of the Canadian Association of Journalists. David Cohn has written for Wired, Seed and The NY Times. As a consultant he has worked with leaders in the participatory journalism space such as Jay Rosen and Jeff Jarvis. He sits on the board of advisors for several organizations such as Publish2.com, NewsTrust.net, CoPress and more. As an entpreneur, Cohn is currently working on Spot.Us a website to pioneer community-funded reporting, which won a grant from the Knight News Challenge. 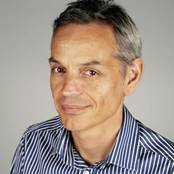 Mike van Niekerk is Editor-in-Chief of Fairfax Digital where he oversees the websites of The Sydney Morning Herald, The Age in Melbourne, several sports and finance sites and two paperless newspapers in Brisbane and Perth. Overall, Fairfax Digital is the most trafficked network and has the highest engagement for news sites in Australia. Van Niekerk is an Arts graduate of the University of Cape Town. He began his career as the editor of a country newspaper in South Africa before migrating to Australia in 1985. 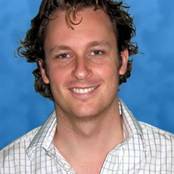 Peter van Onselen is an Associate Professor of Politics and Government at Edith Cowan University and a Contributing Editor to The Australian newspaper. He holds a Bachelor of Arts with First Class Honours in Political Science and a Masters in Policy Studies with distinction from the University of NSW, and a PhD in Political Science from the University of WA. He writes a weekly column for The Weekend Australian, a weekly column in the Wednesday section of The Australian and a column syndicated by the Sunday News Ltd newspapers. He also hosts a weekly television program The Contrarians on Sky News each Friday, having previously presented cover stories on Australian politics for Channel Nine's Sunday Program. He has published in a wide variety of high ranking academic journals and is the author/editor of three books, including John Winston Howard: The Biography, rated by The Wall Street Journal Asia as the best biography of 2007. 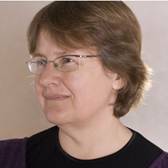 Margaret Simons is an award-winning freelance journalist and the author of nine books. She is the Director of the Centre for Advanced Journalism at the University of Melbourne writes about journalism and the media for Crikey. Her most recent book is Journalism at the Crossroads - Crisis and Opportunity in the Press (Scribe 2012). Her other books include The Content Makers – Understanding the Future of the Australian Media (Penguin 2007) and Faith, Money and Power – What the Religious Revival Means for Politics (Pluto 2007). 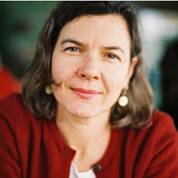 Simons was a finalist in the 2007 Walkley Awards for her essay Buried in the Labyrinth. She also wrote a prize-winning examination of the Hindmarsh Island bridge affair, The Meeting of the Waters in 2003 and Latham’s World in 2004, an investigation into the then Leader of the Opposition, Mark Latham. She holds a Doctorate in Creative Arts from the University of Technology, Sydney. David Cook is a lecturer in the School of Computer and Security Science at Edith Cowan University and the Coordinating Editor of the Journal of Information Warfare. He was the Foundational Manager of the SECAU Security Research Centre. His principal areas of research include information security, counter-terrorism, and radicalization. David has significant broad experience in education throughout the south-east Asian region. He was a Development Officer for the Jakarta Journalist Practicum, and specializes in cross-cultural training and education in Asia. David has a BA Hons in International Relations and Politics, as well as an MBA. David was invited to join the board of Research Journalism because of his experience as an academic journal editor.